Radio was entertaining back in the 1950's. While driving through the night on my job back in the 1980's or so a funny story was told (1954) on the Charlie Douglas Show out of New Orleans. 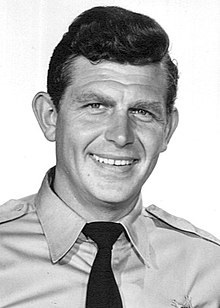 To my surprise the hilarious story teller was Andy Griffith. My jaw dropped! Yes, before the Andy Griffith Show beginning in 1965 Andy was a commedian story teller. If you haven't heard the story, "What it Was Was Football", you're in for a treat if you type the title into your browser and listen. Reflections on friends and icons from the past is not only interesting but sobering as well. It's intriging to see what "father time" does to us! We might think about how we look over the decades but more importantly consider what will be our legacy. The old shows re-visited or seen for the first time remind us of how life was a few decades ago and how we can utilize these gems to make life better today. This is a constructive, relaxing, entertaining and educational journey. Time well spent! Edwin, one of my former aviation instructors reported to me back in the 1990's that Andy was not as personable as he appeared in the shows. Edwin, as a corporate pilot had had the opportunity to come face to face with numerous stars who were passengers on golfing events. Andy came to mind today because today is the 6th anniversary of his death on July 3rd 2012 at the age of 84. Thank you Edwin for sharing your experiences with TV entertainers from yesteryear and thank you Andy for entertaining us and leaving us much to think about in our vastly different world than that which we grew up in. We love revisiting the good old times.